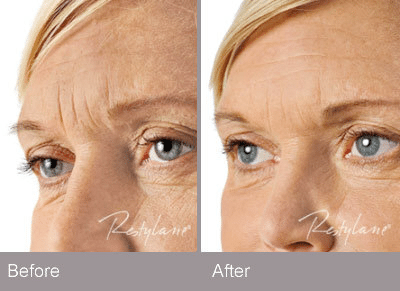 Restylane is the first cosmetic dermal filler made of non-animal-based hyaluronic acid. Hyaluronic acid is a natural substance that already exists in the human body and is used to provide volume and fullness to the skin. The hyaluronic acid in Restylane is a crystal-clear gel called NASHA or Non-Animal Stabilized Hyaluronic Acid. NASHA is biodegradable and fully biocompatible with human hyaluronic acid. Unlike rooster-derived hyaluronic acid based products, Restylane is free from animal proteins. This quality limits any risk of animal-based disease transmission or allergic reaction. Restylane contains trace amounts of gram-positive bacterial proteins and should not be used by patients with a history of allergies to such material. Additionally, Restylane has the highest concentration of hyaluronic acid available in a dermal filler. Yes. Restylane has been used by dermatologists and plastic surgeons since 1996 worldwide. There is limited risk of animalbased disease transmission or allergic reaction. Restylane is fully biocompatible and allergy testing is not required. Restylane contains trace amounts of gram-positive bacterial proteins and should not be used by patients with a history of allergies to such material. After your treatment, you might have some redness or swelling. This will normally last less than seven days. Sunbathing and cold outdoor activities should be avoided until any redness or swelling disappear. If you are pregnant, breastfeeding, or under 18, you shouldn’t use Restylane. 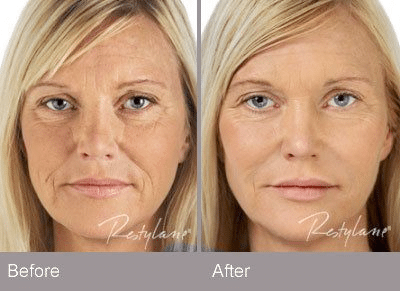 Restylane has been used in more than 1.5 million treatments in over 60 countries to correct a variety of wrinkles. In the U.S. the FDA has approved Restylane for wrinkles and folds like the ones from the nose to the corners of the mouth. Your doctor will consult with you prior to your injection regarding common treatment areas. 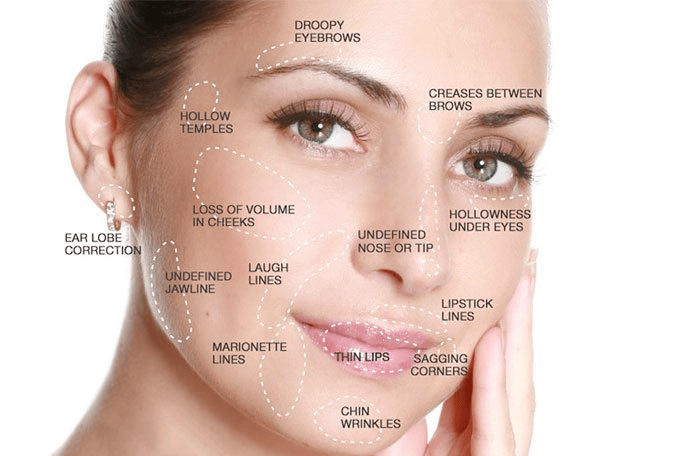 Restylane is proven to deliver long-lasting results. Studies have shown that Restylane effects generally last for about six months.1 Restylane’s stabilization technology helps maintain the cosmetic effect until the injected material is nearly gone. Nasolabial folds before treatment.